March 31. Made it to the trail. 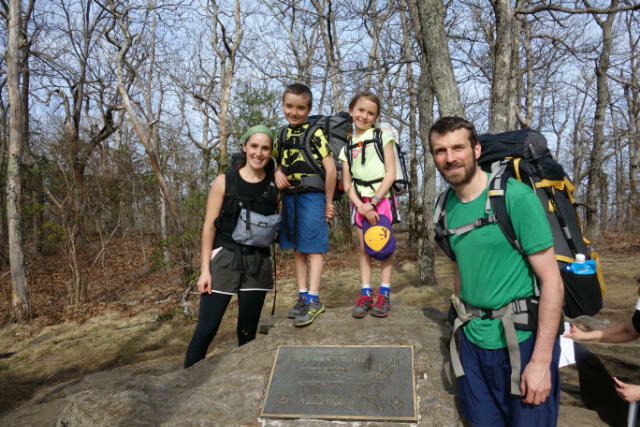 The obligatory photo at Springer Mt (the southern terminus). 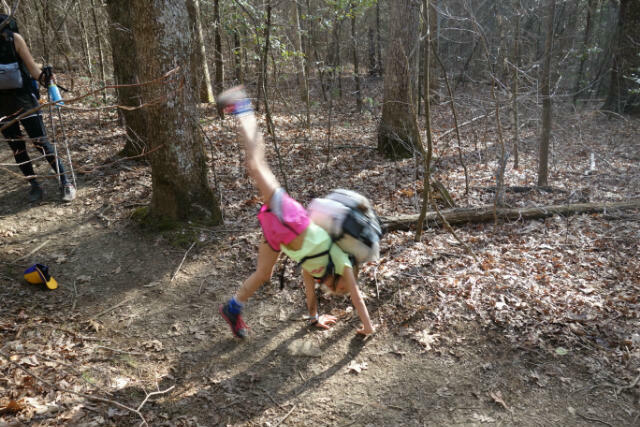 Many people acquire trail nicknames; Maddy earns her trailname on the first day: Cartwheel. 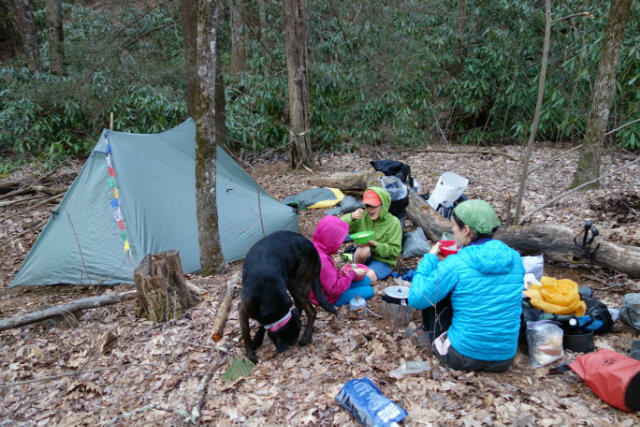 Here we are at the first campsite, by a brook 3 miles in.